Make it at Home: Margarita! This traditional Mexican cocktail is a staple at Now Jade Riviera Cancun. When traveling to Mexico, it seems only fitting that you enjoy a refreshing margarita to cool off while lying on the beach or to accompany a fabulous meal at one of our restaurants. In case you’d like to re-create the perfect margarita at home, we’re posting the recipe for all to enjoy. 2 ounces fresh lime juice. Pour all ingredients over ice into a tall mixing glass and shake briskly. 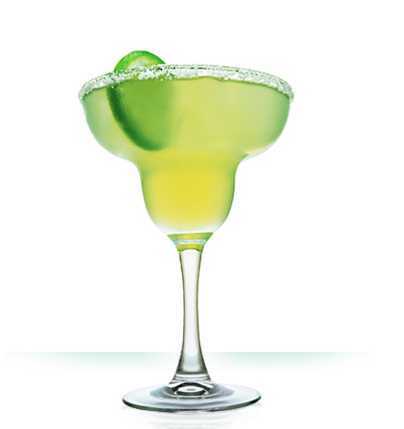 Strain into a chilled glass with a salted rim and garnish with a fresh lime. Enjoy! This entry was posted in Now Jade Riviera Cancun and tagged make it at home, margarita, tropical cocktails. Bookmark the permalink. ← Who Should Win a Free Vacation to Now Resorts & Spas? Can you PLEASE post the recipe for your cabanas(we had them when we were at the now resort) they were THE BEST our fav!!! we would LOVE to be able to make them at home until we are able to come back to see yall next yr!!! !